Sant Baba Mohan Singh Ji were born in 1952 and originally were known as Mohan Laal Bansal (belonging to a Hindu family). It was through Sant Baba Mann Singh Ji, that Langara Wale Baba Ji were blessed with the blessed company of Sant Ji Maharaj Sant Baba Isher Singh Ji. Sant Ji Maharaj gave Langara Wale Baba Ji a 108 beaded mala (rosary) and told them to recite 11 maal’eh a day. It was from this point that Langara Wale Baba Ji began to practise meditation and selfless service in the Langar. Before the departure of Sant Ji Maharaj, both Sant Baba Mann Singh Ji and Sant Baba Mohan Singh Ji were given duties. Following in the footsteps of Sant Baba Kishan Singh Ji Maharaj (Rara Sahib Langara Wale) Langar Wale Baba Ji have been looking after all aspects of Langar seva. Whether it be in times of natural disasters (Orissa, Gujrat etc.) or in times of celebration (300 saal Khalsa Prakash Divas, 400 Saal Guru Granth Sahib Ji Prakash Divas, 300 Saal Gurgaddi Guru Granth Sahib Ji Divas). Langar Wale Baba Ji have never discriminated against any participants in the Langar and have always given opportunities to Sangat to selflessly serve the congregation and for the congregation to eat regardless of caste, creed, colour, ethnicity or religion. 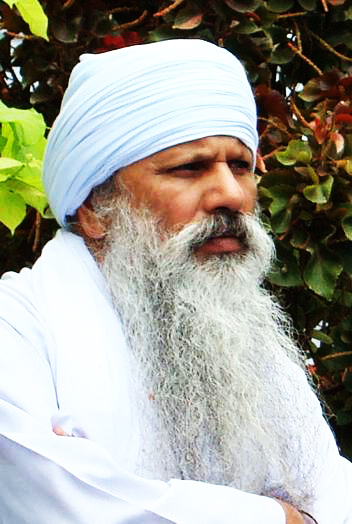 Langar Wale Baba Ji are one of the most humble beings to have ever walked the earth. Regardless of the fact that they are a Mahapurkh, they do not reveal their capabilities and spiritual powers. They often act as though they are fragile and forgetful, however only those who have truly seen Langar Wale Baba Ji with their own eyes and have stayed with them, know what they are capable of. Langar Wale Baba Ji keep so much humility within themselves, that any clothes they wear are old clothes of Sant Baba Mann Singh Ji. When Sant Baba Mann Singh Ji’s chole, kachere and dastara get old, Langar Wale Baba Ji take them and have them sewed down to their own size. Despite being one with Sant Baba Mann Singh Ji, they always consider themselves lower. Even today if one goes to Gurdwara Sachkhand Isher Darbar, Jurasi Sahib Pehowa they can see Langara Wale Baba Ji preparing rotiya (chapatti bread) with their own hands for the Sangat.